This site is (relatively) cheap. 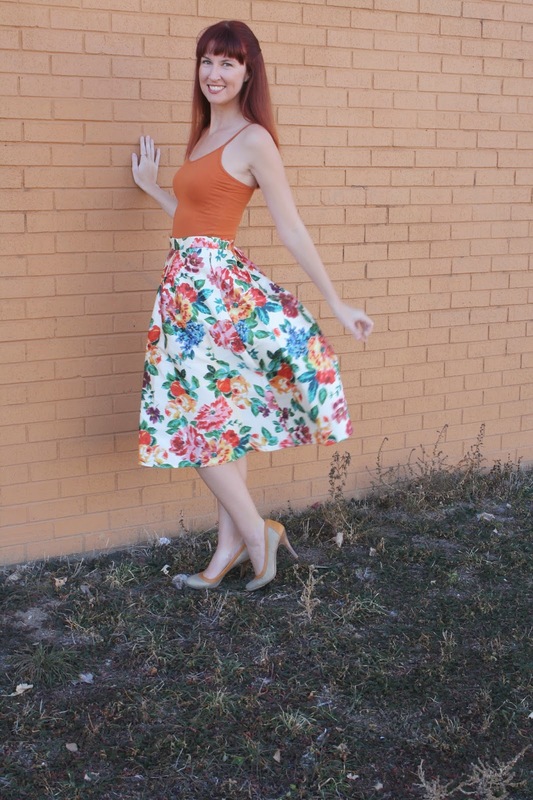 They have things on sale for $20 and many of their newer stuff is already $50 or less...which for high waisted, tea length, novelty, and classic/pseudo vintage inspired pieces is actually extremely cheap! This made me curious about the quality, and now that I'm a proud owner of three of their skirts I can honestly say it's pretty damn good! The material is super soft, the skirts are lined, a few have pockets, and the construction seems like an overall A+! Also worth noting...FREE SHIPPING! No matter how much or little you spend! It's also worth noting that your first order you get 30% off and there are currently a few deals with varying percentages off depending on how much you spend. However, any percentage off is off of what the original price was and it appears all merchandise enters the site at 15% off. I think the sizing is slightly off. I'm a 25-26 inch waist and my skirts were listed between 26-27 inches. 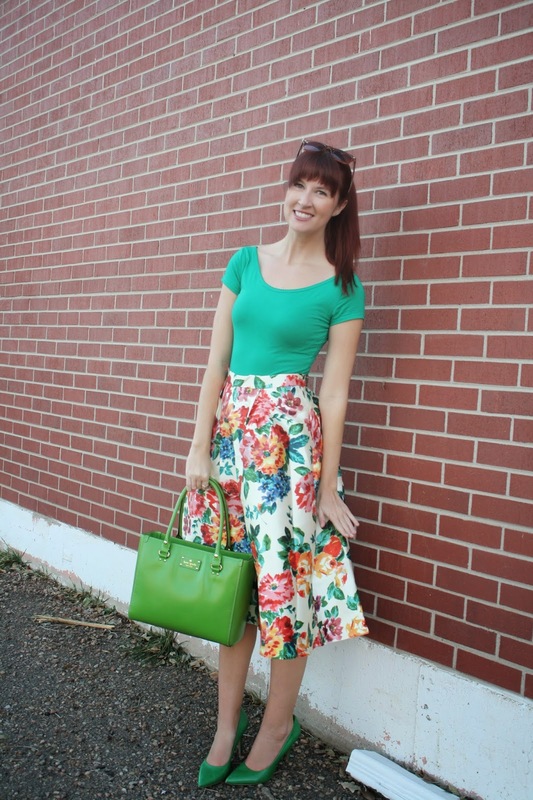 For a good comparison, I get a size small in Jenny skirts from Pinup Girl Clothing and those are the exact same measurements and they fit perfect. (I find if you have a little bit of room to breathe with your skirts the more comfortable you'll be). All three of my skirts give me a lot of room to grow-which is convenient for winter and tucking in sweaters-but come spring I may need to get them altered as they sit slightly lower than I usually wear skirts and move/twist around fairly easily. Then again, they are machine washable (hopefully I can shrink them slightly). Either or, they are definitely wearable and the fact that they seem ever so slightly bigger is probably only noticeable to me. They said shipping takes 14-18 days. Mine took 24 days. You can pay for tracking, but if you don't you have no idea of your package's whereabouts. I was thisclose to calling or live chatting as I assumed my package must have gotten lost somewhere, but luckily I got a surprise one unsuspecting Monday night. This isn't the end of the world, just a fair head's up that this could happen! (I imagine with the upcoming holiday season it will). *Since drafting this I broke down and got a skirt on clearance (not pictured) and it took WAY quicker to arrive! About 2 weeks on the button! All in all though, this is one of my favorite new sites and best finds of 2014. These three skirts have already become some of my favorites and I anticipate wearing them a lot. I'm also completely drooling over at least a half a dozen other skirts on there-so stay tuned for more looks as I'm sure I'll have trouble resisting! 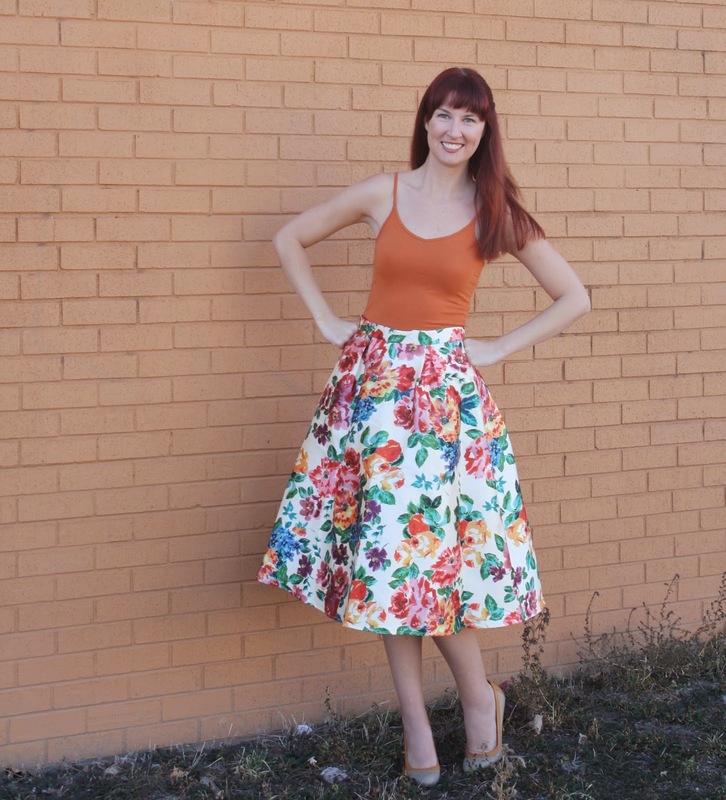 The floral and the bird print skirts are currently off the website, but the brightly colored scenic view skirt can be found here. 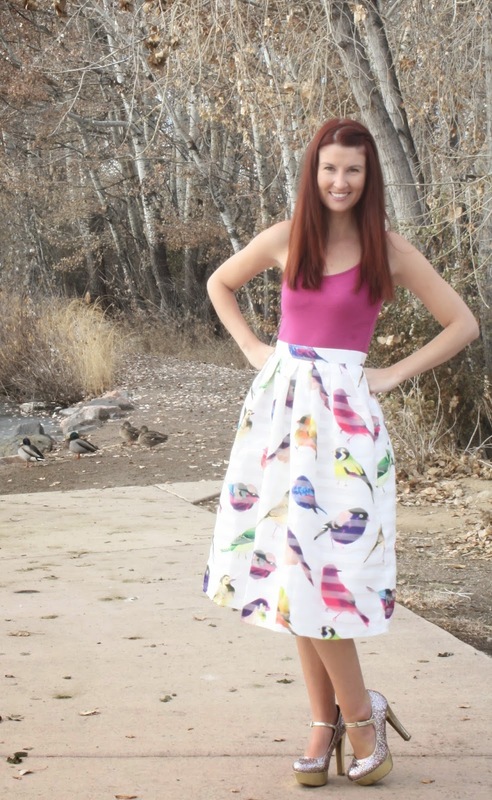 It's called the Turn Back Time Scenic Print Midi skirt, and for eBay searching purposes the bird print is called Spring Cruise Birds Midi Skirt and the floral is called Blossom Age Floral Midi Skirt. PS- This was my first 'Gaga for' post in over a month and will be my last until January! This series and some others that have been MIA will all be returning in 2015!!!!!! That said I will be posting other stuff right up until the clock strikes midnight on New Year's Eve :) Thank-you! 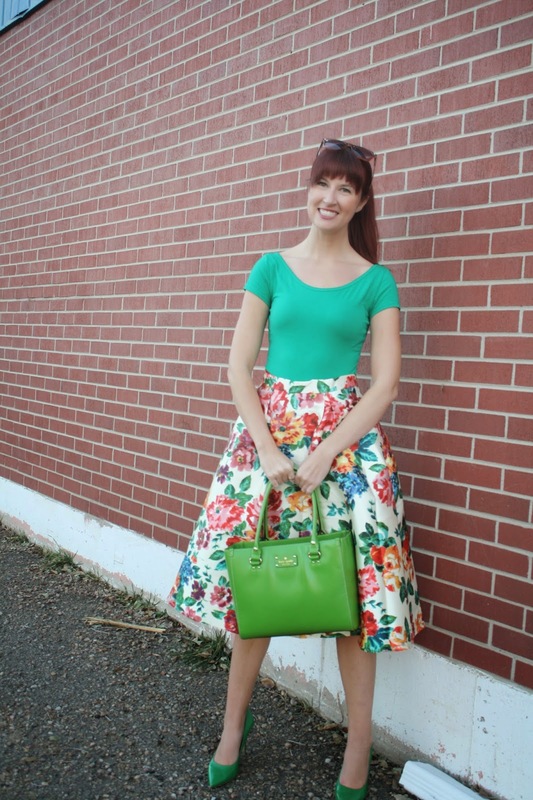 I love those skirts, especially the tree scenery one. How unique! And that's good to know on Chicwish. I just ordered from them for the first time after lurking on their page for a while. I wonder now if I'm going to have the same problem. Hummm. I usually limbo between a small and a med so I sized up. I might be doing some sewing in my future. Oh and talk about amazing sales! I had to refrain from going back for more stuff. lol! I was inspired to go check out Chicwish because of your post. I ended up ordering two skirts! I do love one that I got - it is a poppy flower print. The other ended up being a little short. Thanks so much for your fun posts! I love your cute combo's and style. BTW I am from Wyoming - so just north of you! :) Thanks for all the inspiration!